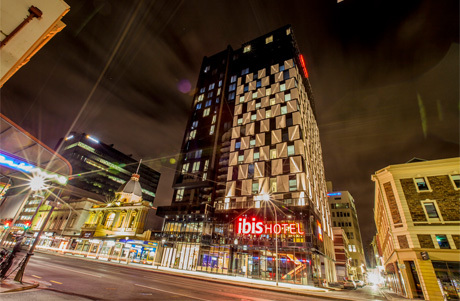 The IBIS Hotel in Adelaide opened for business in July. The opening marked a game changing day for Hitachi VRF in the Australian market. The IBIS project proved that Hitachi VRF could compete head on with the major players in the very competitive Australian VRF market and come out on top. The IBIs project had plenty of challenges for any VRF system: Long pipe runs, big vertical lifts, 21 indoor units attached to each outdoor unit, 120%-130% combination ratios, equipment decks with limited space and to top it off the small room sizes made ASNZ1677 compliance a real problem. Temperzone Australia has just achieved an impressive milestone when we manufactured our 100, 000th commercial unit. To put this into perspective, we are not talking about small wall units or cassettes. Temperzone Australia has manufactured 100, 000 commercial units – units like the very large rooftop units that often need to be moved into position with the help of cranes or even a helicopter. As part of our ongoing effort to provide the latest technologies to our customer’s, Temperzone has embraced Building Information Modelling (BIM) and now provides 3D Revit models of our air conditioning units. This will assist HVAC engineers in the design and drafting of their BIM projects.